26 per cent of Americans have deleted Facebook’s core app from their mobile phone in the past year, while 74 per cent have taken steps to limit the social network’s access to their life, according to new data from the Pew Research Center. The research by Pew found that Facebook has faced scrutiny from both conservatives and liberals. While the vast majority of Republicans and right-leaning independents think that social platforms in general censor political speech, there was no discernible difference towards how they engaged with the app, with similar numbers of Republicans and Conservatives changing their approach to Facebook. There were, however, age differences in the share of Facebook users who have recently taken action to reframe their relationship with the app. 44 per cent of users between 18 and 29 say they have deleted the Facebook app, nearly four times the share of users aged 65 and older (12 per cent) who had done the same. Similarly, older users are much less likely to say they have adjusted their Facebook privacy settings in the past 12 months; only a third of Facebook users aged 65 and older had done this, compared with 64 per cent of younger users. This changing attitude among younger users lines up with an eMarketer study of UK youths, which found many were abandoning the app in favour of other social networks. As part of Facebook’s reaction to changing attitudes towards data privacy, it has made it easier for users to download the data the site has collected about them. The Pew study found that nine per cent of users have taken advantage of this feature, and these users tended to be much more privacy-conscious, with 79 per cent having adjusted their privacy settings, and 47 per cent having deleted the app from their smartphone. 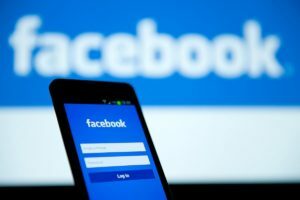 A separate study by Pew found that while a sizeable majority of US adults get news via Facebook, less than half (46 per cent) said they understood why certain posts are included in their news fede and others are not. This lack of understanding is especially notable in users aged 50 and over, where 60 per cent rate their understanding at “not very well” or “not at all well”.